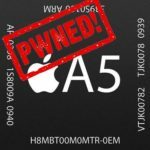 Ac1dsn0w, the Mac OS exclusive jailbreak tool, is getting @pod2g’s untethered iOS 5.0.1 jailbreak exploit as reported by folks at iDB. The news comes from Twitter user @imRel0ad who is supposedly the vice leader of Pwn Dev Team, the hackers behind Ac1dsn0w utility. It appears that the team has been in touch with @pod2g for a while and has finally got him to agree on giving them his exploit for their relatively new jailbreak tool. Its been almost two weeks since iOS 5.0.1 untethered jailbreak for A4 devices came out and now we are looking forward to an even bigger achievement from the jailbreak community i.e an untethered jailbreak for A5-chip devices including iPhone 4S and iPad 2 which according to @pod2g, is now just days away from public release.